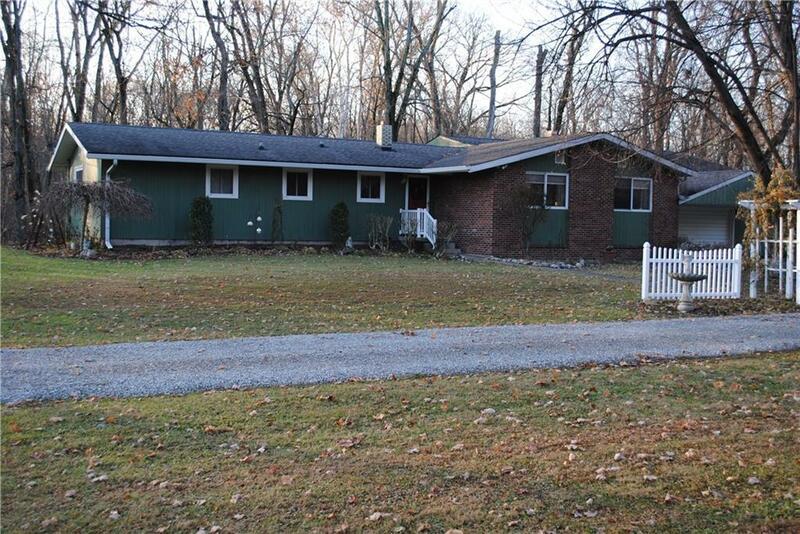 Scenic Brown County view out your back door overlooks wooded area and Brandywine Creek! Screened porch (24x8) leads to deck. 3 bedroom home with 2 full baths (renovated in 2018) with living room, family room/kitchen combined, gas log fireplace. Kitchen with breakfast island and granite tile counters. Master bedroom with walk-in closet and bath with tiled shower stall. Third bedroom used as office. Separate bonus room and half bath can be entered from family room or separate exterior entrance. 2 car garage with 29x22 workshop area! Backyard is a Zen retreat!